With 300 days of sunshine a year, Marseille is an example of the art of living. Palace and museum visits, extended lunches, inspiring seascapes, sun-kissed afternoons or moonlit evenings on the terrace, leisurely strolls through the cobblestone streets… the joys of exploring are found everywhere, everyday. In the streets of Marseille, 2,600 years of history meet bold new enterprise. Walled, old towns and historic sites are a testament to Marseille’s rich history deeply rooted in the past. Modernity, bursting with energy and growth, is resonated through transportation, culture, and tourism. Marseille is a hub for culture, making it an ideal fit as the European Capital of Culture. The title of European Capital of Culture is a coveted and sought-after distinction that attracts a large number of tourists and visitors. Each year, the title is conferred on two cities chosen through an international contest. For the winning cities, it provides the opportunity to showcase a high concentration of European cultural excellence for a full year. This year, Marseille Provence is sharing the spotlight with Kosice in Slovakia. I’d already ventured through the beaches of Normandy and Nice and the historical landmarks of Paris; now it was time to experience the culture of Marseille. 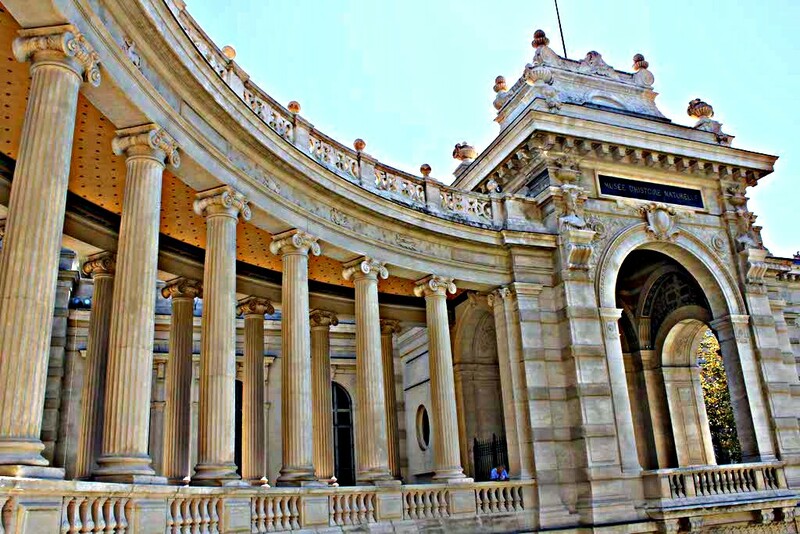 I roamed through the spectacular grounds filled with fountains, triumphal arches, staircases, and a shaded park and the artwork-filled halls of The Palais de Longchamp, an elaborate monument showcasing the importance of water to Marseille. The Palace houses the Museum of Fine Arts in the left wing and­­­­ the Natural History Museum in its right wing but with so much to view I only explored the Museum of Fine Arts. The Natural History Museum will have to wait until my next visit. 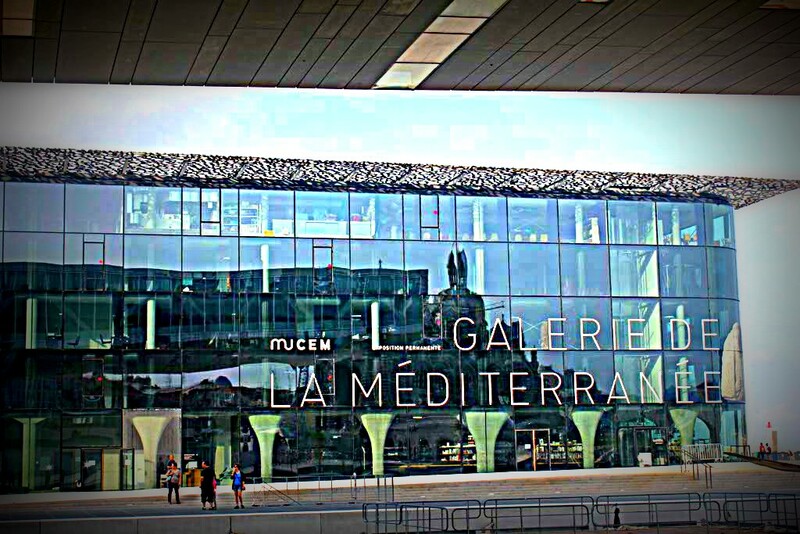 The MuCEM is dedicated to the Mediterranean, to its history, culture, and heritage, from pre-history to the present day. The MuCEM is spread over three sites that occupy more than 40,000 m2: the Musee J4, the Fort Saint-Jean, and the Center for Conservation and Resources. They play host to a combined permanent collection of approximately one million works and objects. Taking in one permanent exhibit that deals with the important stages in the history of the civilizations of the Mediterranean took an entire morning. It’s easy to understand why the MuCEM was host to more than 800,000 visitors since June. Marseille soaps, ceramics, fabrics, crafts, and fish can all be purchased during the morning markets at The Old Port or if you’d like to just stroll along the boardwalk listening the the accents and watching French culture happen all around you, this is the place to be. Under the moonlight, I sat on my terrace at La Résidence Hotel and experienced the movement of the night in Marseille. It was elegant, graceful, peaceful. Even the sound of scooters passing by was a low humming lullaby. One couple expressed their love through hand-holding and kissing while another couple hung their feet over the pier and watched the yachts quietly sleeping in their slips. The tinging of their lines like a rhythmic snoring, they gently rocked back and forth in the calm waves. Immortalised in Alexandre Dumas’ classic 1844 novel The Count of Monte Cristo, a 16th-century fortress-turned-prison, Château d’If, sits on an island just a few km west of The Old Port. Political prisoners were incarcerated here, along with hundreds of Protestants, the Revolutionary hero Mirabeau, and the Communards of 1871. I got to the island via the Frioul If Express. As a The Count of Monte Cristo lover, Château d’If was a must on my trip to Marseille. Dark, dank dungeons and under-lit halls added to the mystery of Château d’If. A place of exile, the island was the epitome of isolation yet I found beauty and solace during my visit. I wasn’t a prisoner or trapped and the boat waited for my return. Marseille’s streets, narrow and crooked, led me to a new world of discovery. The traces of the past guided the way, allowing me to reconstruct history throughout the centuries. Walking in the footsteps of the world’s most famous artists, I meandered along in search of something, I just wasn’t quite sure what it was. I found an elderly man who left me creating his story and a stack of suitcases that reminded me of art yet they were simply for sale. I felt refreshed in a city that is alive with culture. Every little nook offered centuries of experience and history. From the palaces to the shops, the pier to the streets, Marseille is a place where the joy of living is felt everywhere. It was a bucket list experience for all the senses. Is the Past Just a Carriage Ride Away? Marseille is already on my bucket list, but your pictures and commentary have notched it up several places. Thanks for taking me on this journey. Loved this article and had to share on our Facebook page and Twitter. Thank you for the inspiring post!